Spring is near! Which means, warm weather is just around the corner. Bring on the refreshing beverages to quench your thirst! This coconut lemonade is perfecto for the upcoming season. Created with coconut water, lemon, ice, mint and cucumber, how easy is that?! Get out your largest pitcher and fill it with all of these goodies. 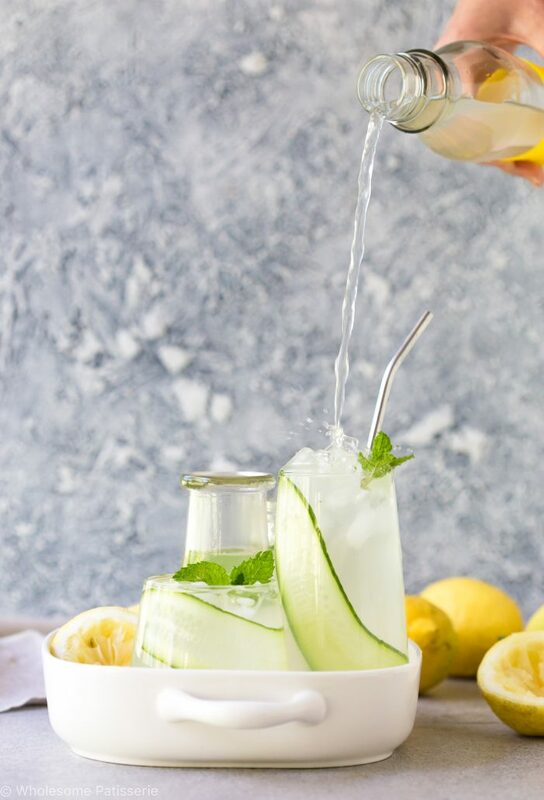 The cucumber you may be wondering is quite interesting, but a welcome addition in this coconut lemonade. I decided to eliminate any added sugars and the cucumber offers a balance for the tart lemon. Neither are overwhelming at all but altogether, they make a fantastic any-time drink! Enjoy! In a large pitcher, pour in and combine coconut water and fresh lemon juice. Stir through mint and ice cubes. 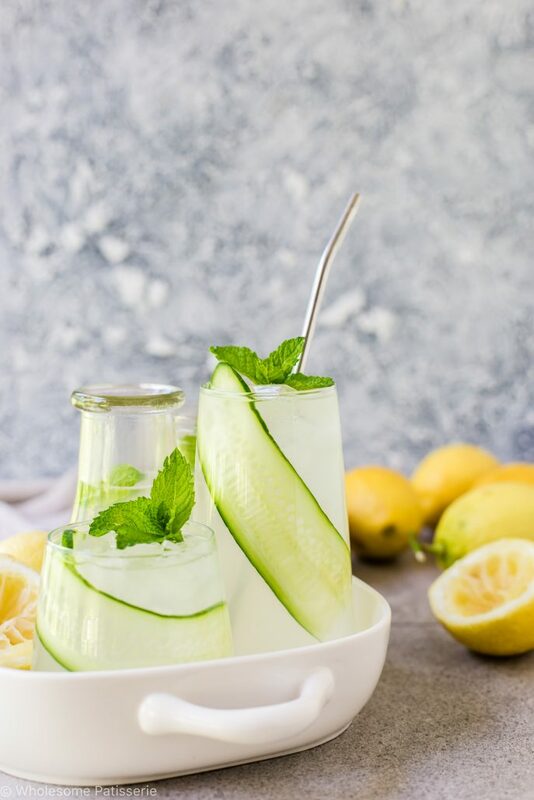 Pour into serving glasses and add 1 thinly sliced cucumber into each glass.